A new high-capacity hybrid bus, powered by Vantage Power, has arrived at Go-Ahead London. Vantage Power, a London-based company developing electrified and connected technologies for heavy-duty vehicles, has announced the customer hand-over of the hybrid triple axle double-decker bus. The Enterprise 2HD contains the latest in Vantage Power’s electrified and connected powertrain technology, and sees a Euro VI range extender paired with two compact high power lithium-ion battery packs totalling 29kWh, fully electrified ancillaries, an electrically-powered rear axle, and Vantage Power’s hybrid vehicle control unit and telemetry system, VPVision. 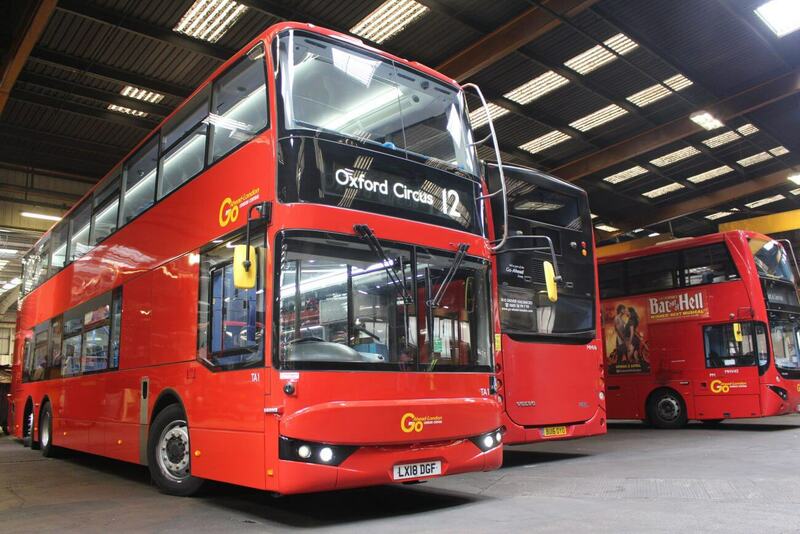 The first vehicle will be trialled by Go-Ahead on Transport for London CTfL route 12. Passengers will benefit from USB chargers and mobile phone holders in every seat. The Enterprise 2HD carries 130 passengers. Richard Harrington, Engineering Director of Go-Ahead London, said: “We are pleased to partner TfL on another innovative scheme designed to make bus travel even more attractive in the capital. Claire Mann, TfL Director of Bus Operations, told CBW: “We’re always keen to ensure that our bus network reflects the needs of an ever-changing London, so we are working with Go-Ahead to trial a tri-axle bus with a suite of new features. “This will help to inform our future vehicle strategy and some of the additional features and improvements could be included on our buses in the future as part of the wider changes to our fleet.